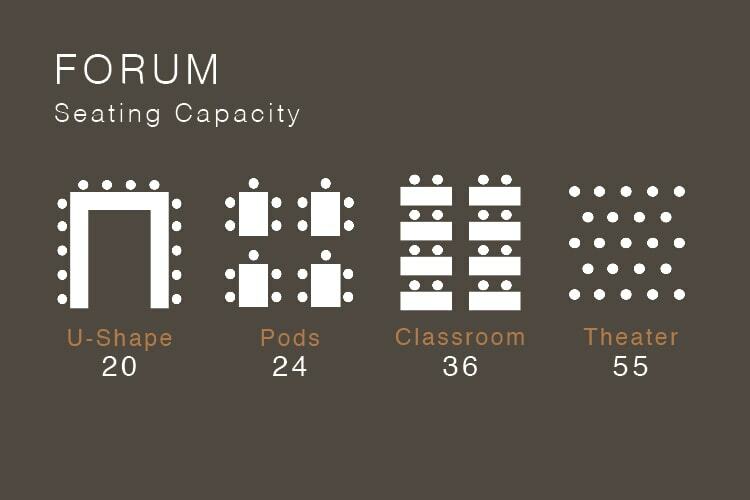 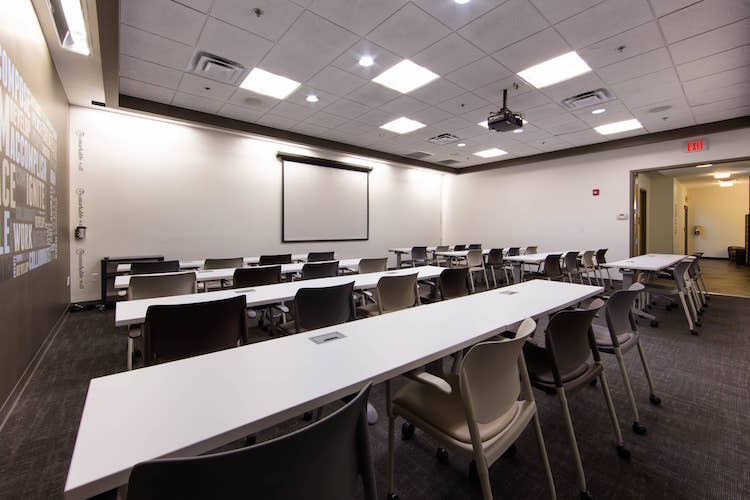 The Forum is an ideal meeting room for interactive lectures and training workshops. 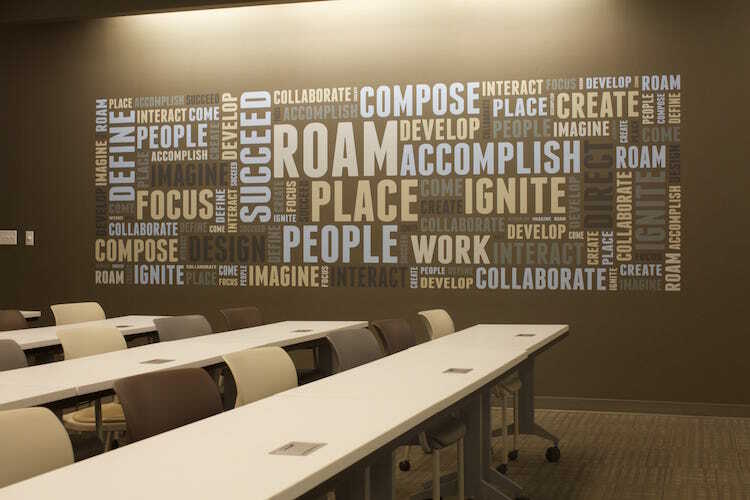 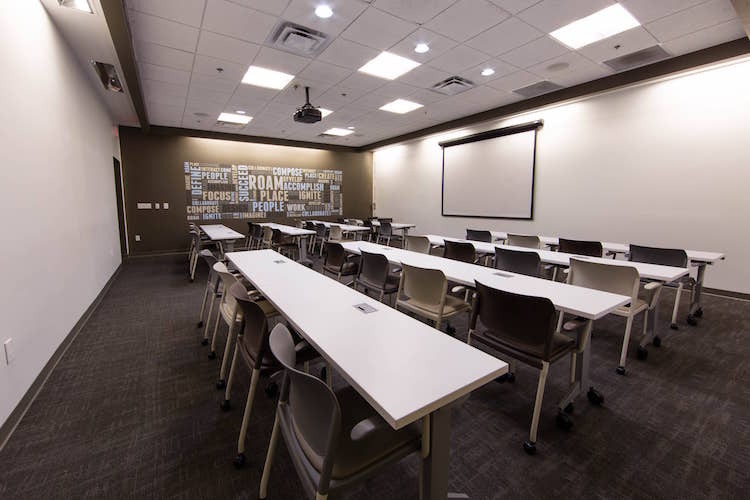 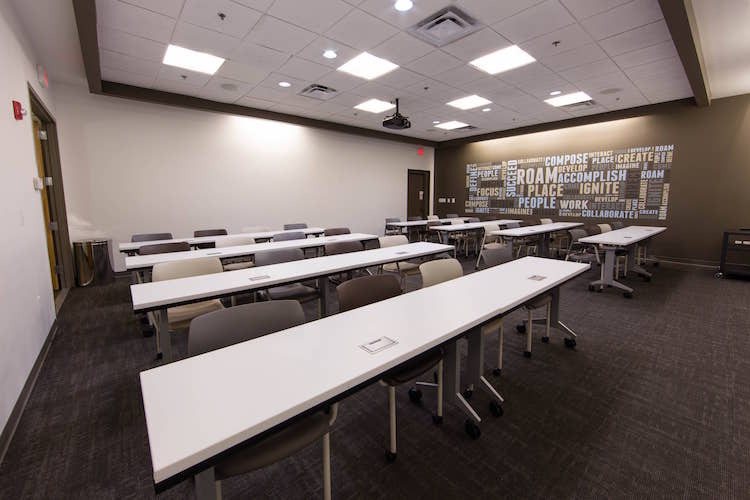 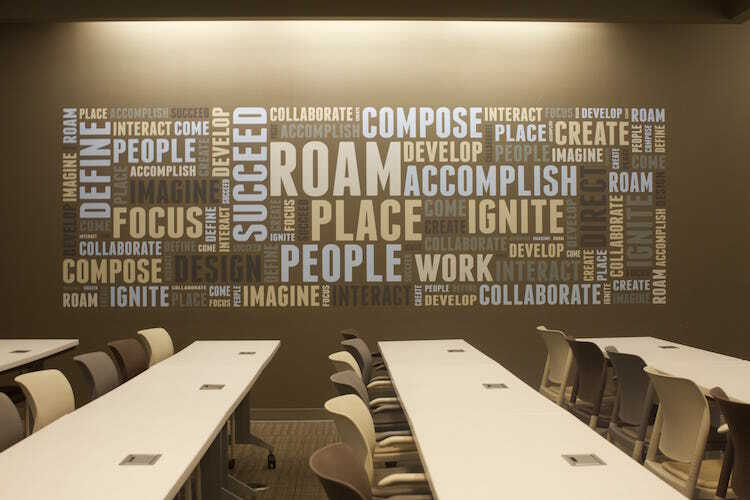 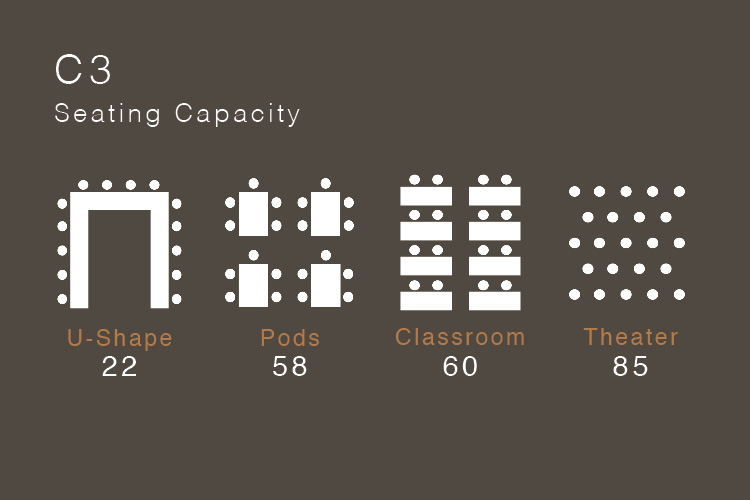 Customizable seating arrangements and an inspirational word cloud create a productive and energizing environment for seminars, conferences and kick off meetings. 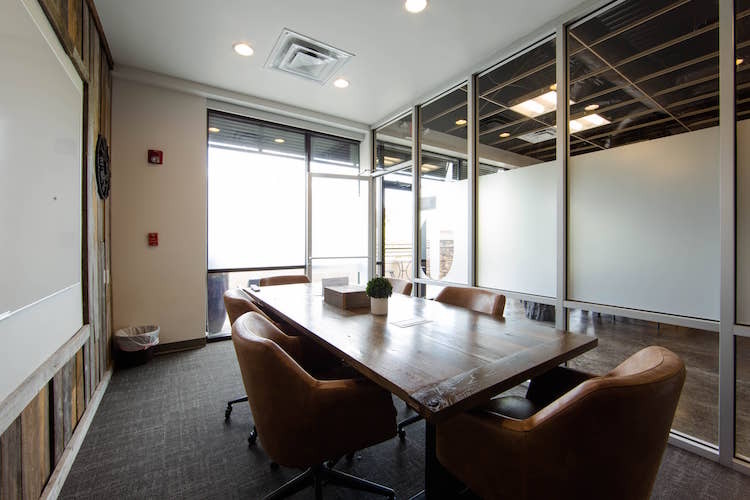 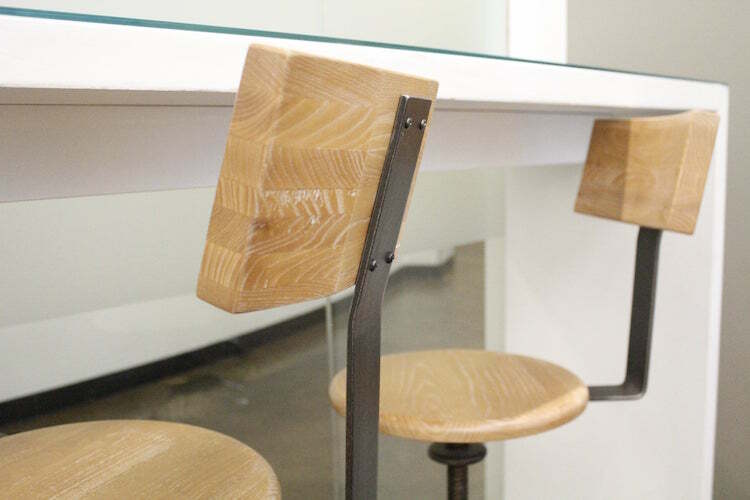 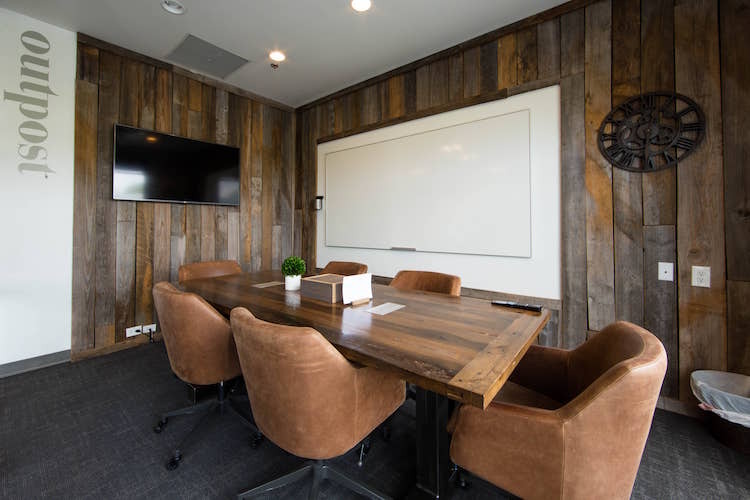 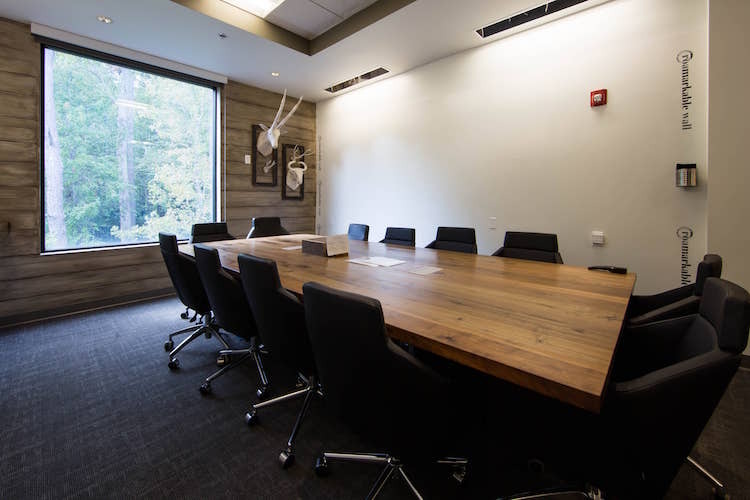 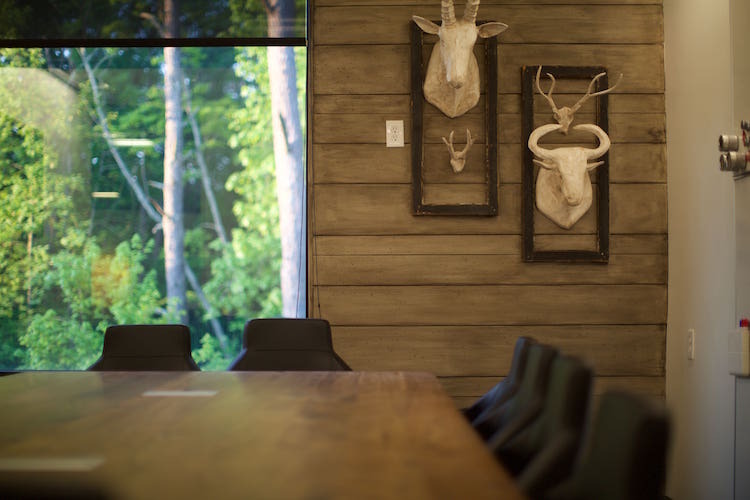 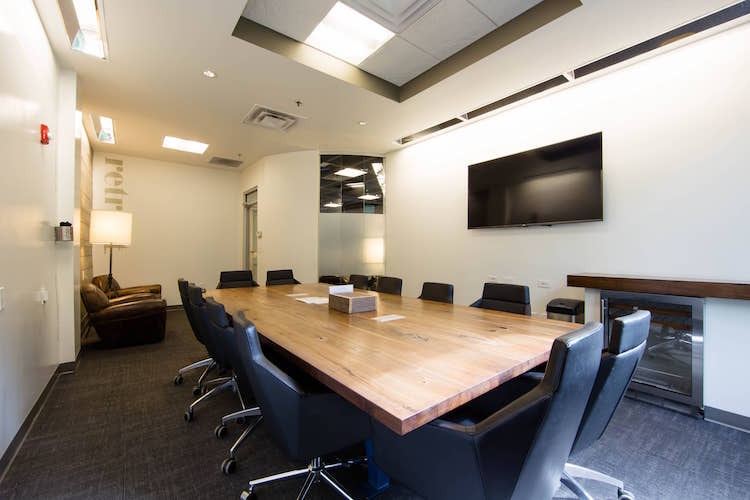 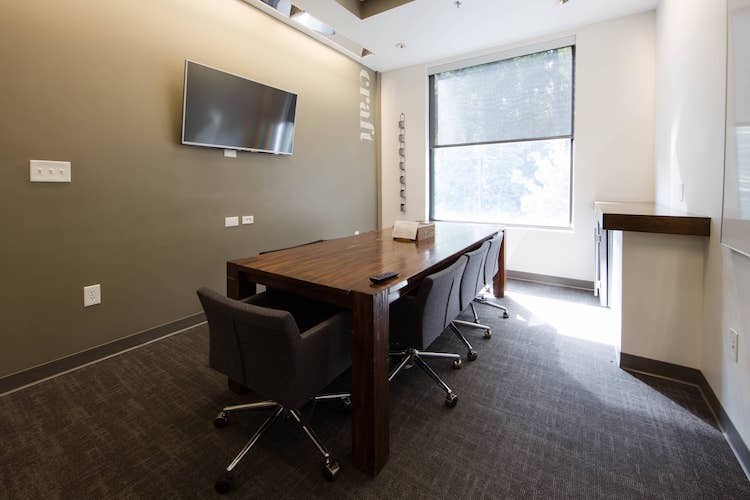 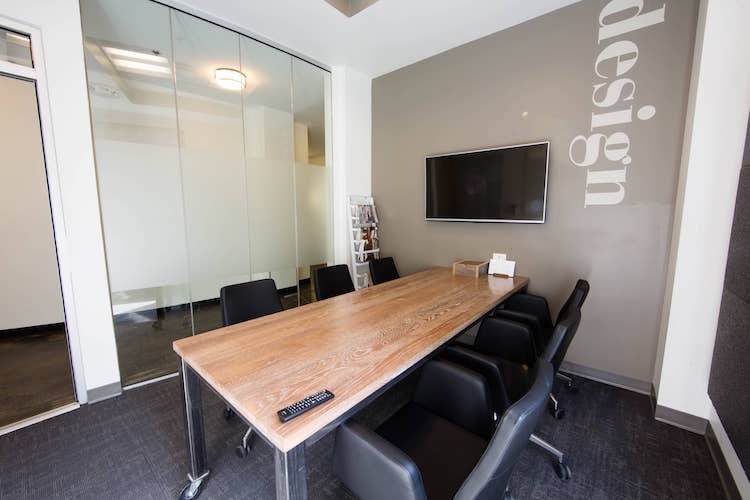 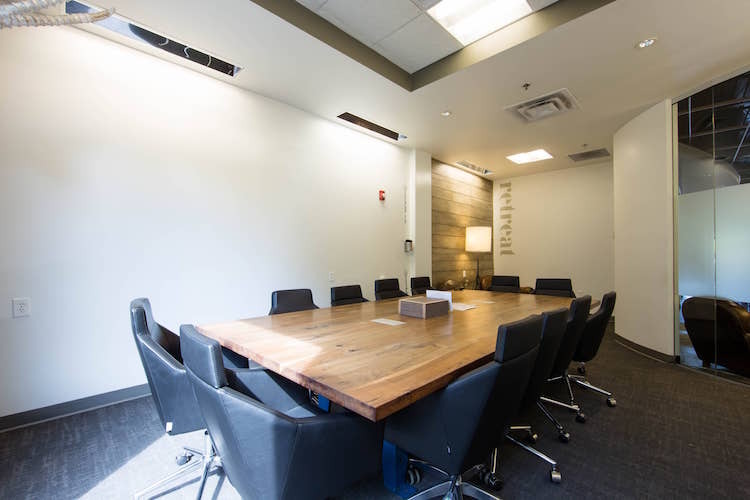 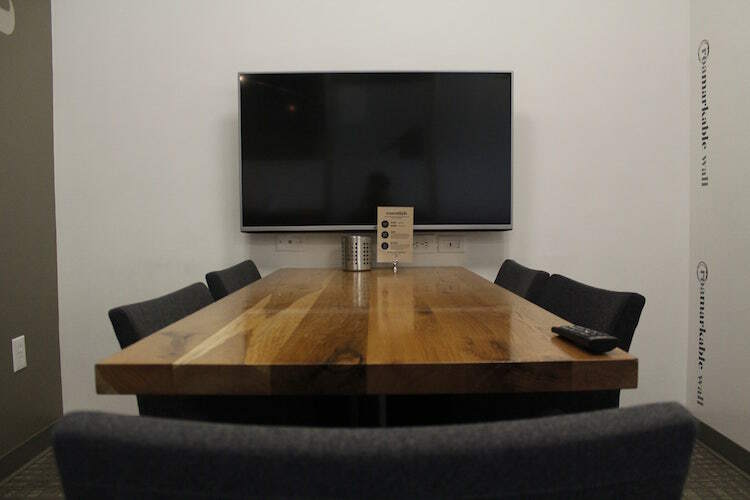 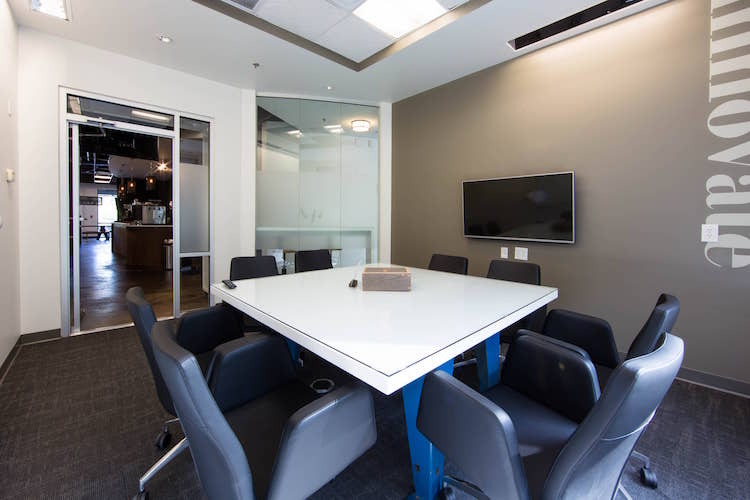 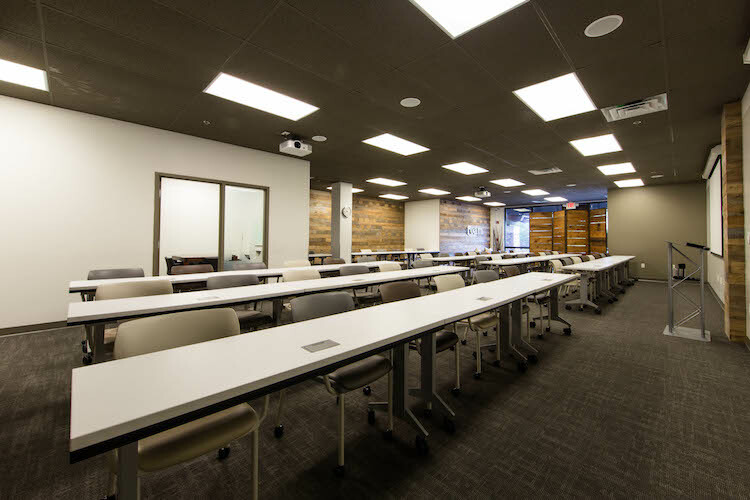 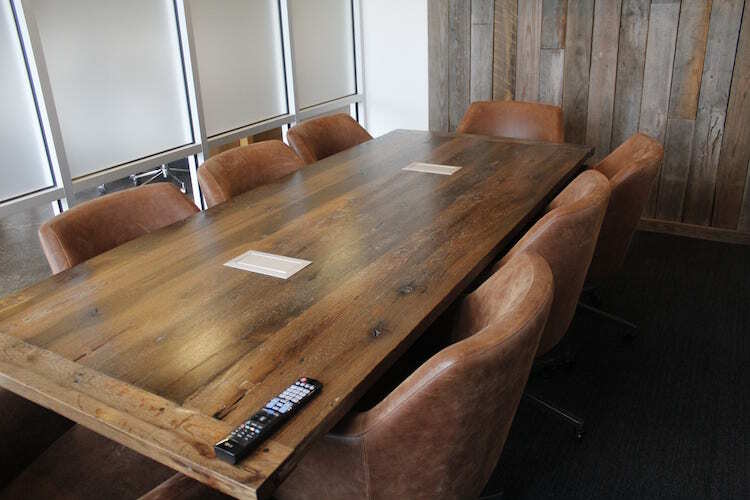 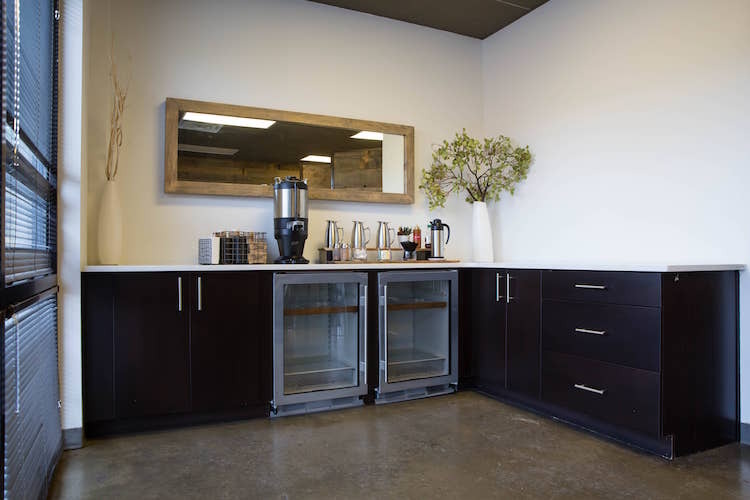 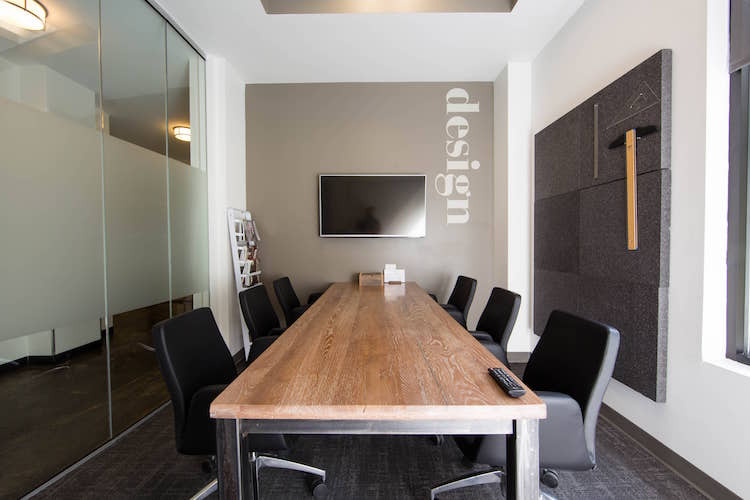 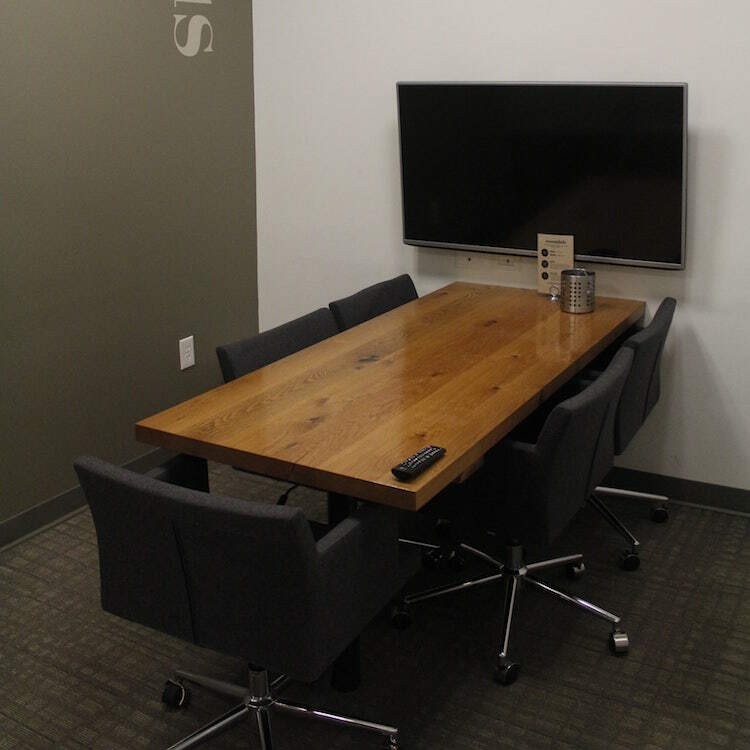 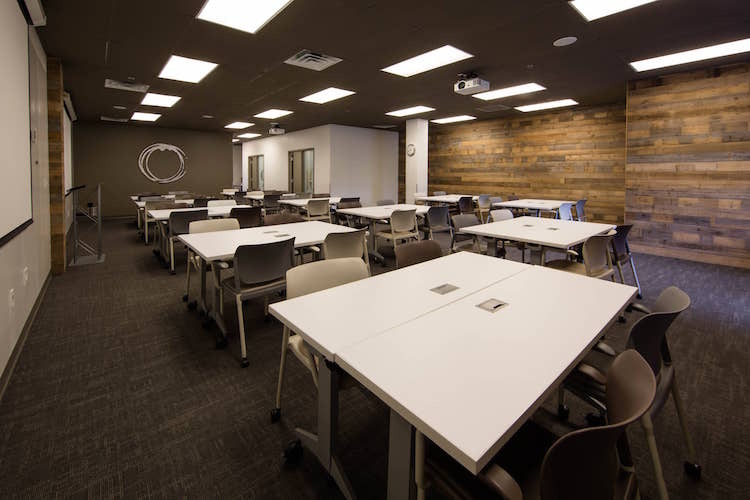 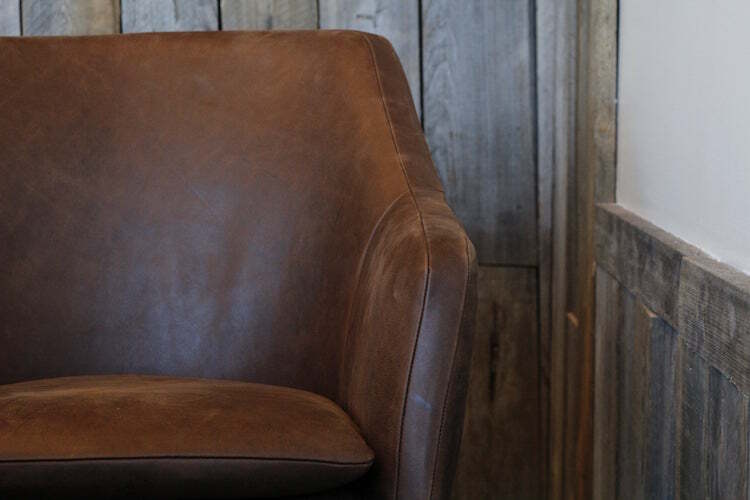 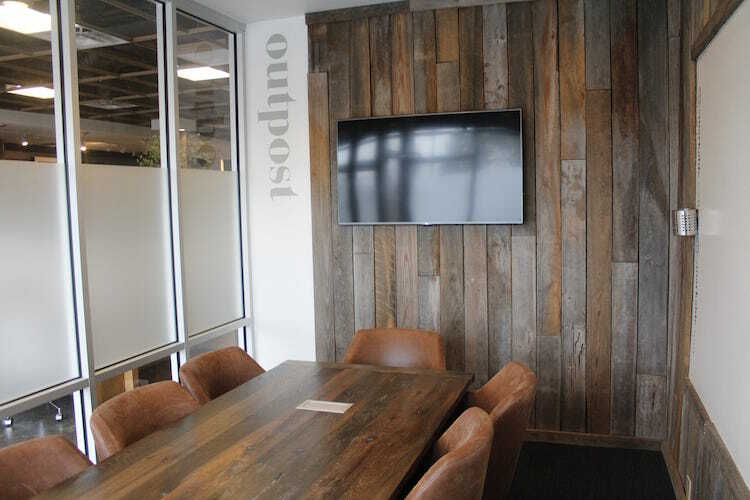 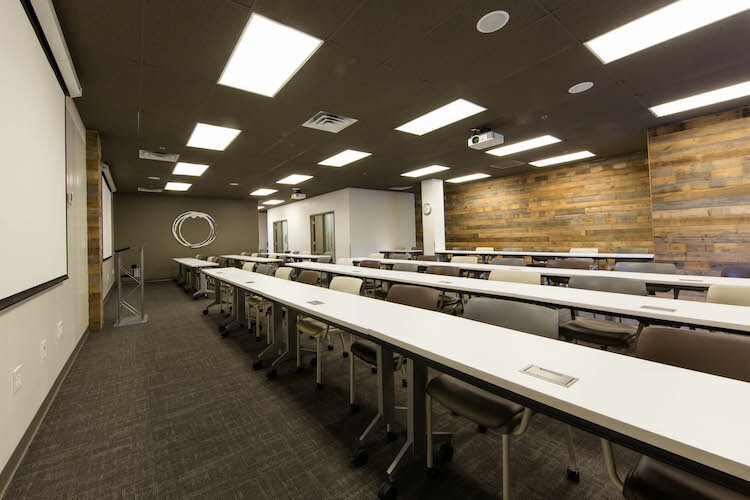 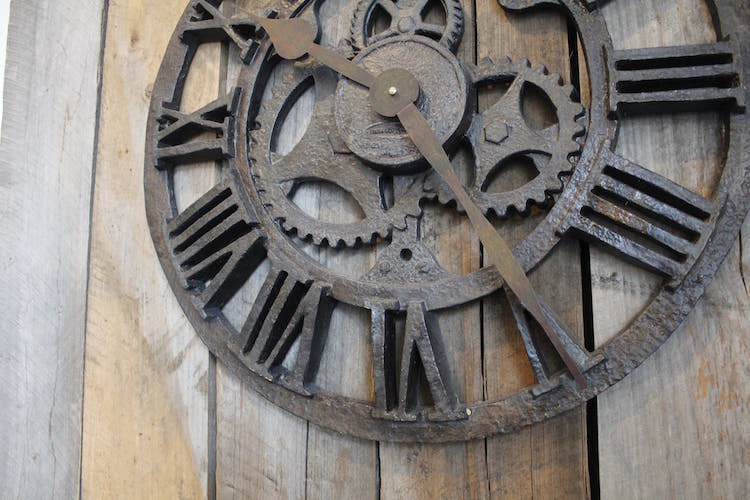 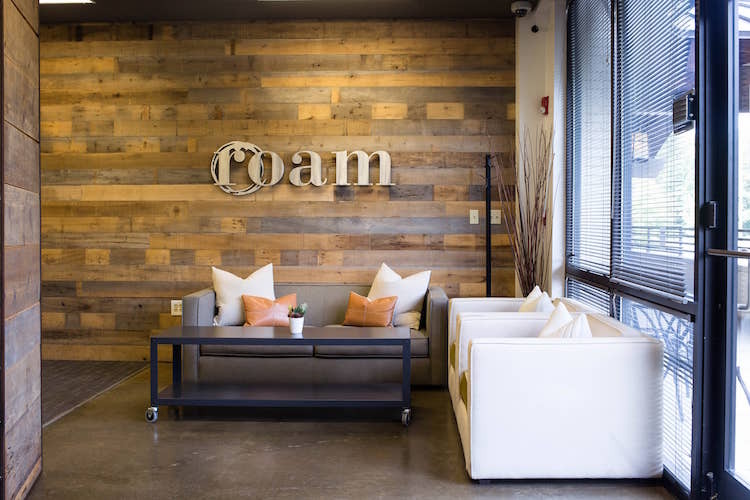 Industrial metals paired with rustic wood accents create a unique meeting environment perfect for client meetings and strategy sessions. 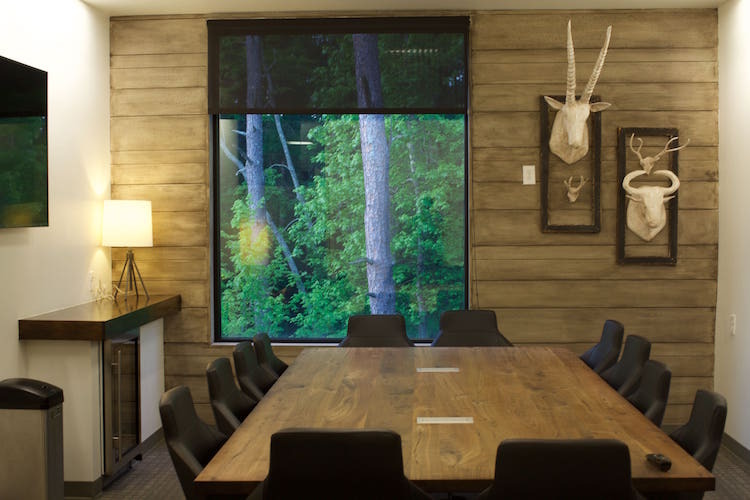 Wood walls, plush chairs and windows will keep your team comfortable, motivated and engaged. 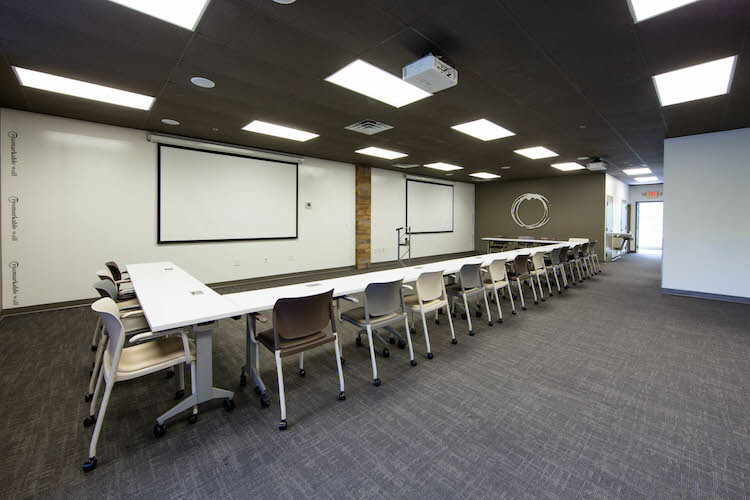 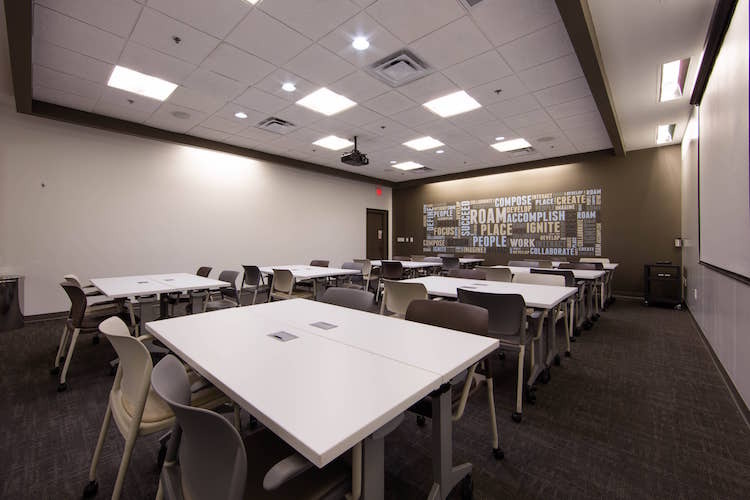 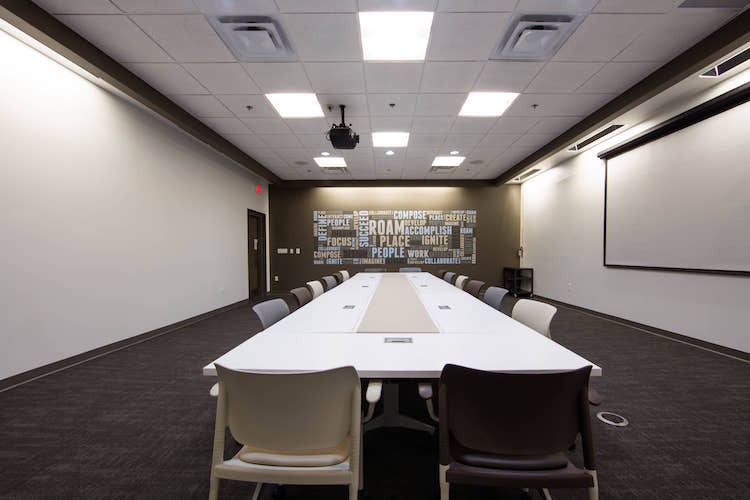 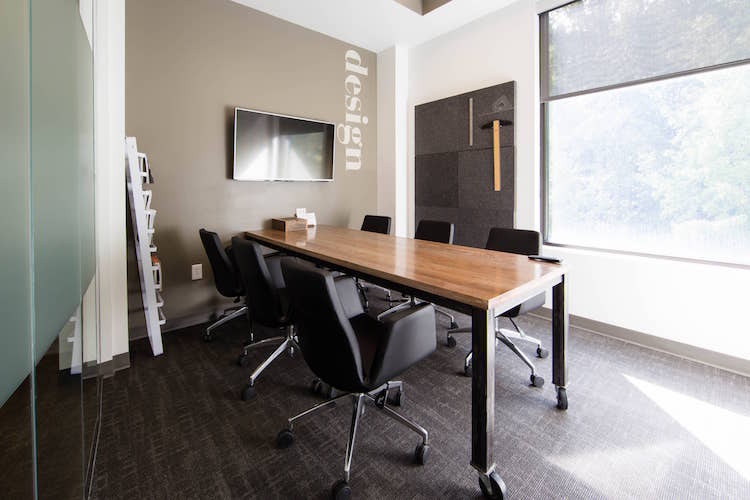 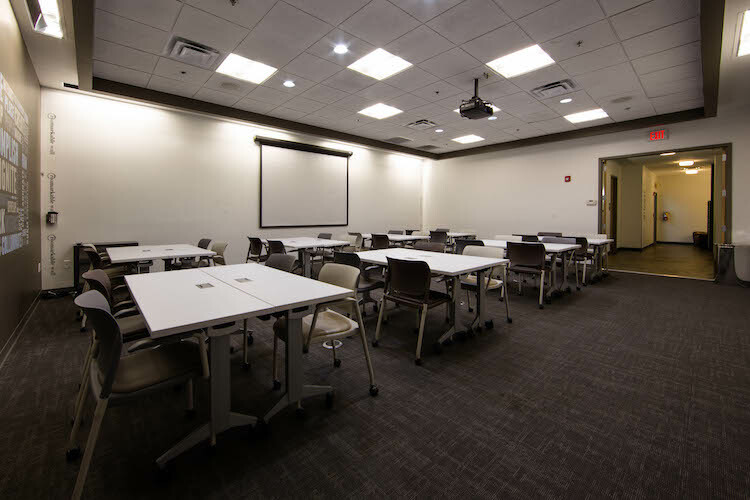 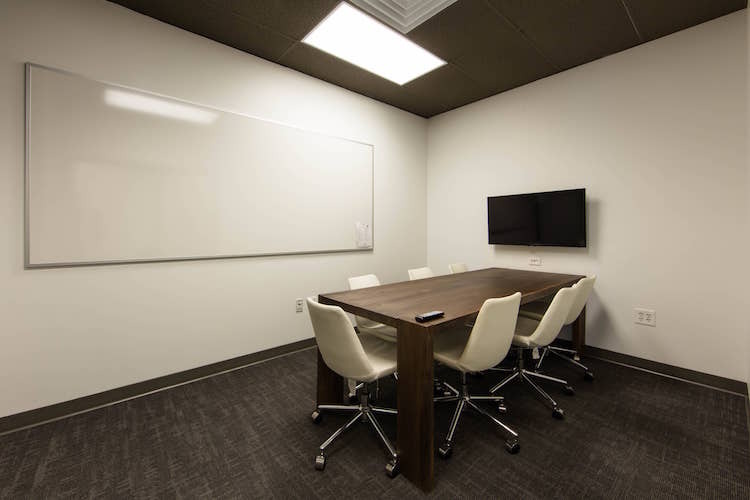 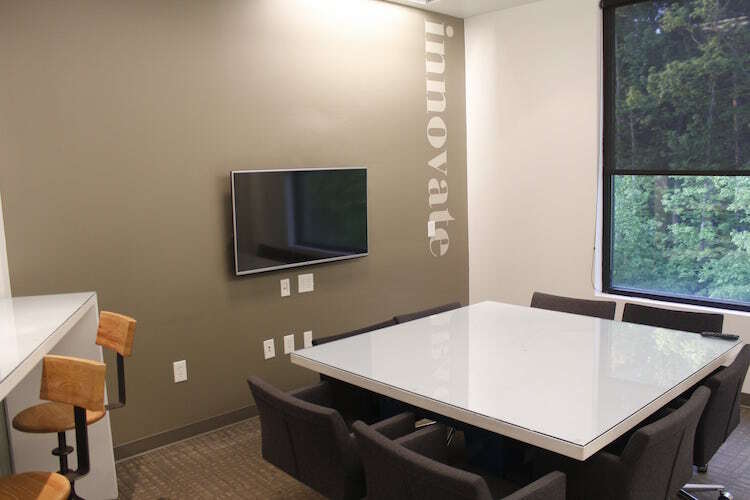 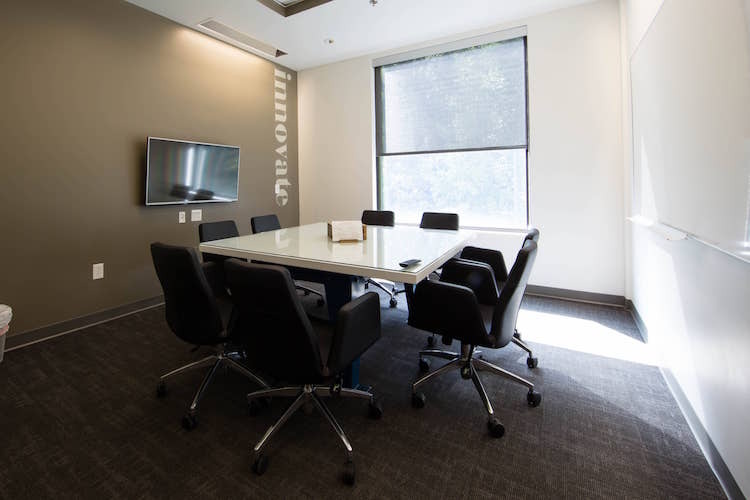 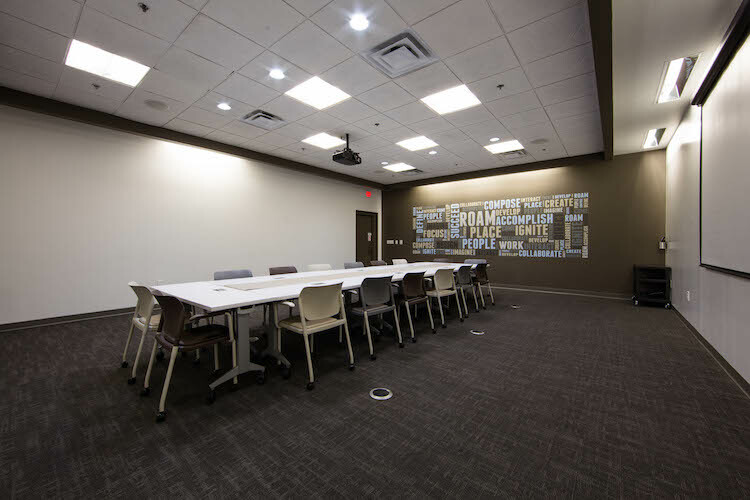 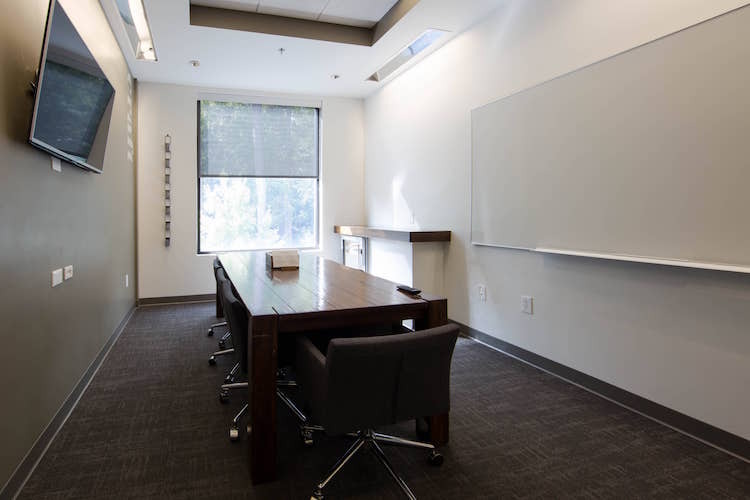 Embrace your inner creator, innovator and dreamer when hosting a whiteboard brainstorm session or ideation meeting in this medium conference room. 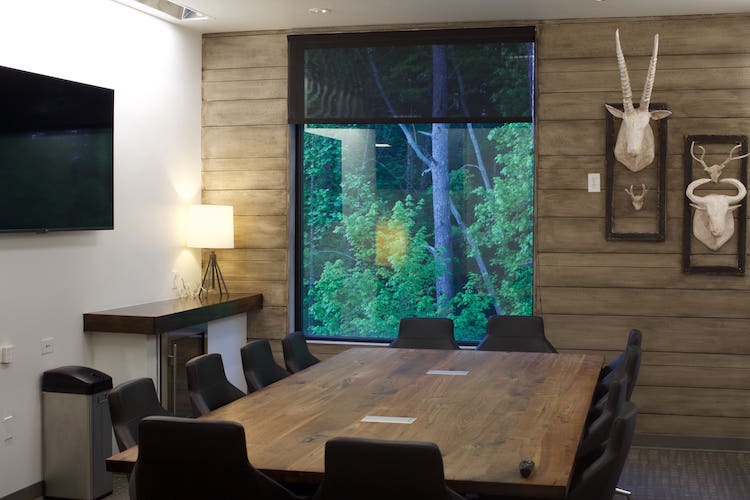 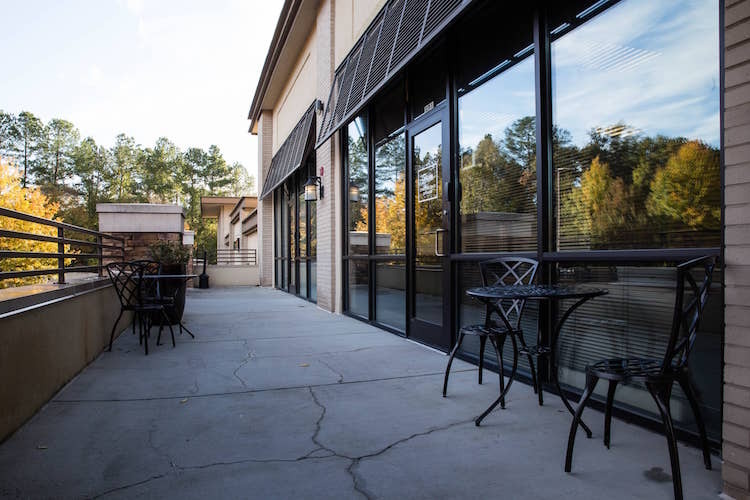 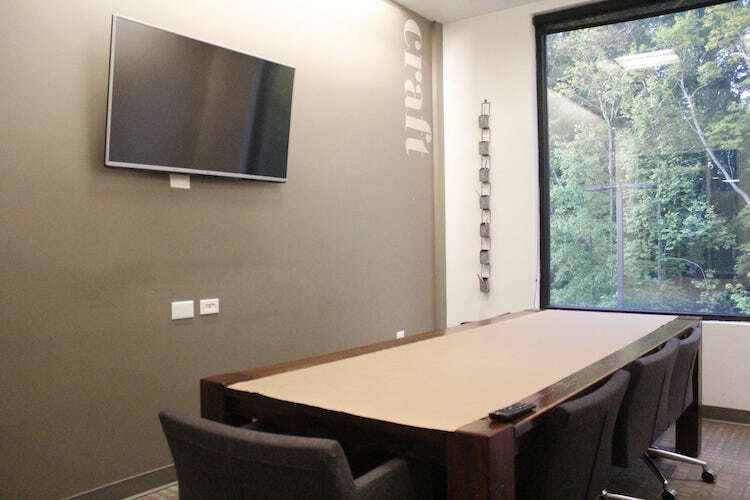 This spacious room and wooded, outdoor view will help your team stay focused and inspired while crafting the roadmap to success. 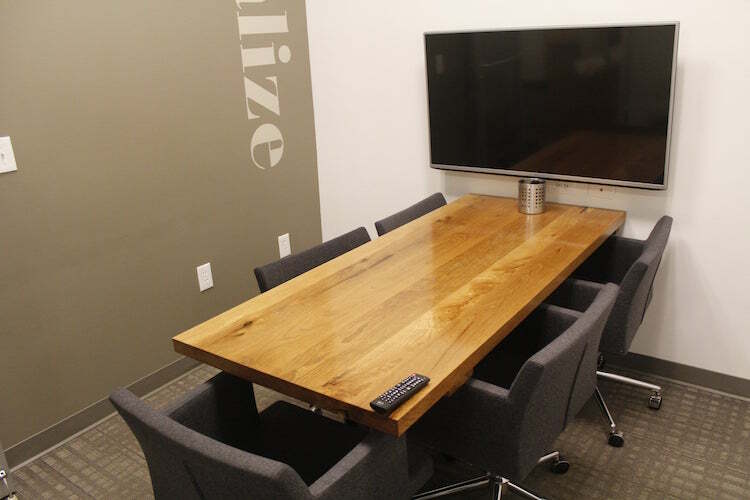 Whether you need to meet with an important client or gather your project team for a weekly update meeting, #4 Socialize can comfortably accommodate a variety of small gatherings. 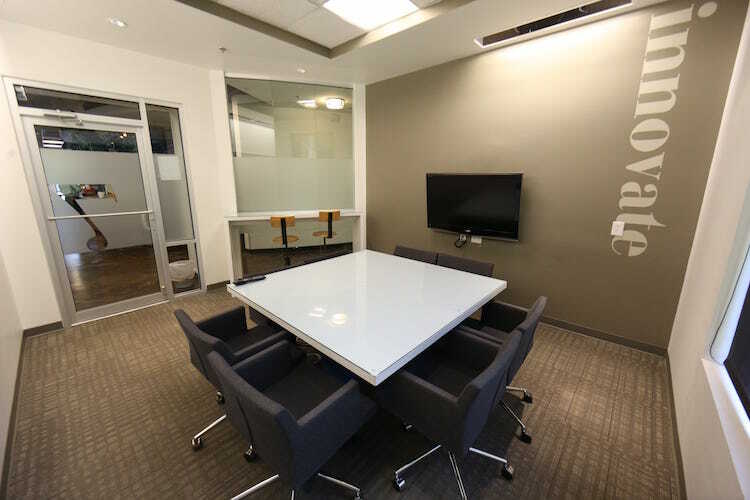 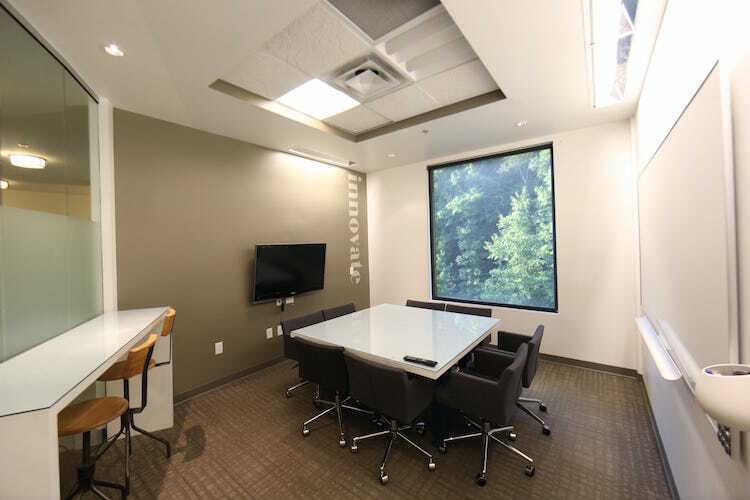 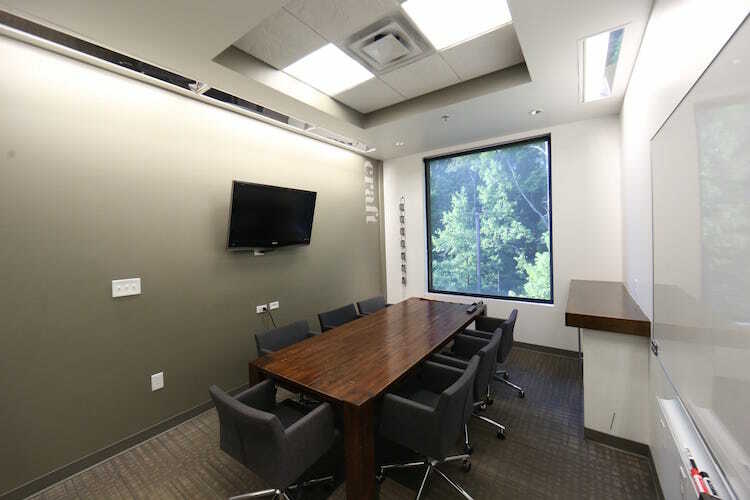 Perfect for interviews and one-on-one consultations, stay focused in this small conference room seating up to five people. 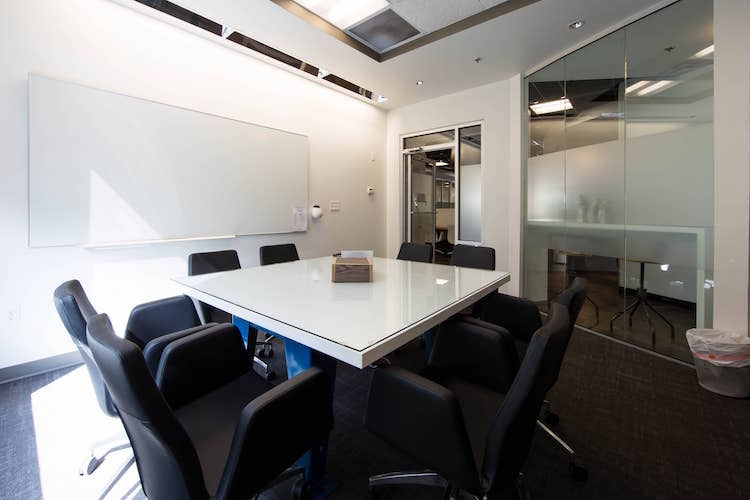 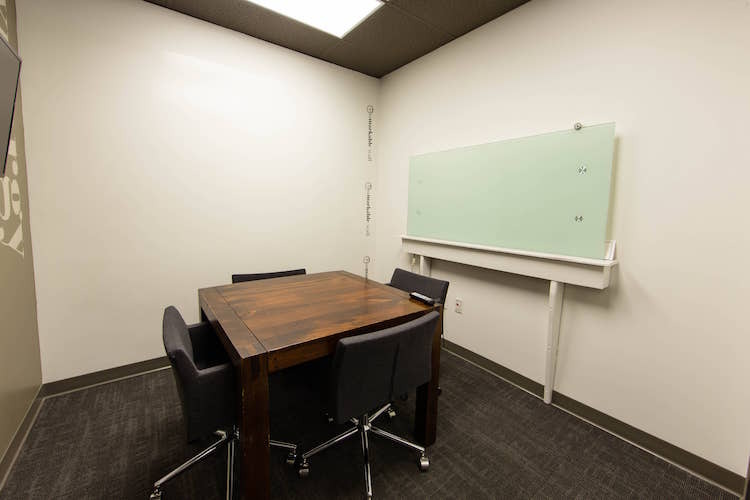 Invite your team for a collaborative work session, and utilize the whiteboard wall for brainstorming and strategizing.